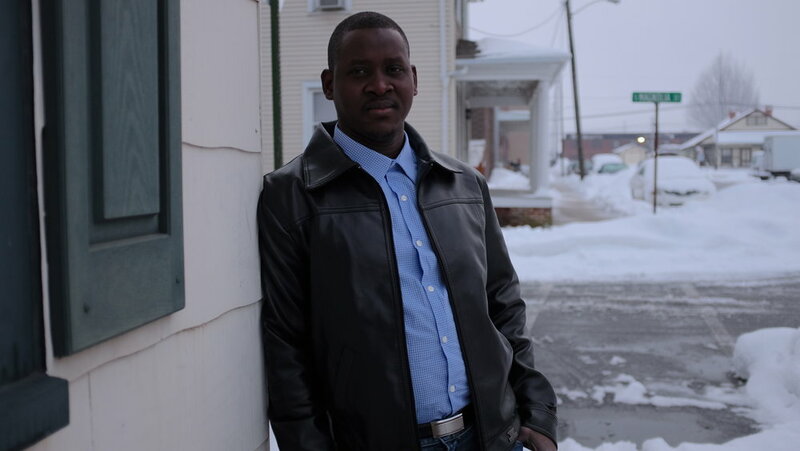 “Lancaster, Pennsylvania — America’s Refugee Capital.” It was January 2016, I was living and working in New York City as a commercial film director and I came across a headline like this. “What? Really? My hometown of Lancaster, PA? America’s Refugee Capital? Incredible,” I thought to myself at the time. I had been aware of Lancaster’s refugee population — just not to the extent of this bold and beautiful proclamation. 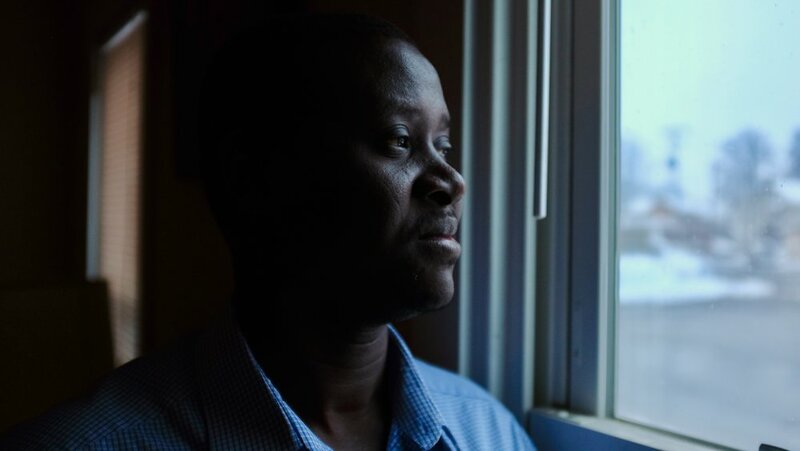 It was only a few years prior in 2013 that I had the wonderful opportunity to meet one of Lancaster’s refugees – a young man of 22, Terry, from the Democratic Republic Of The Congo. I was brought to Terry’s family home by a gregarious, kind man named Gary Hobday, who ran the Lancaster Refugee Coalition at the time. Terry lived with his mother, aunt, his younger siblings, and at least one cousin. Over the course of three hours, Terry told me his entire life story up until the moment in which we were sitting – I was in awe, disbelief, and overwhelming gratitude for his openness and graciousness. The horrors and tribulations of his journey to the United States — it was somatic shock to my system. Then with a brilliant, shining smile, Terry invited us to sit with his entire family and eat a home-cooked meal – long silences went on during the conversation, but the silences were greeted with warmth, humility, and genuine presence. Something in me on the drive home knew that my first feature film would center around the experience of being with Terry. Back to January 2016, I was still yearning to make a film about that feeling of presence of being with Terry and his family — a narrative feature, or documentary – I was not quite sure, but I had the itch, and could not get my mind off Lancaster’s bold Refugee hub title. Terry and I had kept in touch his collegiate school studies were of utmost importance to him and I didn’t want a film to project to get in his way. So I contacted Church World Services in Lancaster, the largest refugee resettlement agency in the area, and they were so gracious to create a list of current and former refugees who would be willing to speak with me. A few weeks later, I returned to my hometown of Lancaster to conduct the interviews. The Amtrak Keystone line en route from New York City to Lancaster, PA. January, 2016. In a matter of a few days, I conducted about ten total interviews with current and former refugees in the Lancaster area. These individuals happened to all be male, varied in age, and were from places like: Bhutan, Cuba, Iraq, Nepal, Somalia, and Southern Sudan to name a view. To be brutally honest, this time of interviews was a psychological gut punch for me – the unspeakable tragedies and heartbreaks these people had experienced were almost hard to believe. Yet, one word kept coming to my mind to explain each of these individuals I was interviewing – grace. Pure, sincere, utter human grace. One such interview really stood out to me. This one happened to be with James Magot, 36, a former Lost Boy refugee of Southern Sudan. James had arrived in Lancaster in early September, 2001, just before 9/11 happened. He told me the horrors of being a child soldier, crossing the Sahara desert twice before age 12, and finally making his way to safety in different refugee camps in Ethiopia and Kenya. He belabored the fact that he had been living in the United States (Lancaster) for a longer period of time than he ever lived on the African continent. In a subtle tone, he was proud of this statement. Needless to say, James and I really hit it off and we decided to keep a consistent correspondence after I went home to New York City. James, outside of his Manheim home. January, 2016. A few months later I travelled back to Lancaster again and decided to spend some serious time with James and his local Sudanese and refugee communities. James and I would walk down the streets of Lancaster City and seemingly everyone and their mother knew James. People would yell to him from cars, from the sidewalk – everywhere. I thought, wait a second – “am I not the one who grew up here?” James would take me to different homes where I would always be greeted with tea and food, and big smiles. In one such home, I remember, we sat for hours near the front door of this Lancaster city house. The front door was wide open. Neighbors, friends, family, would wander in and out, say hello, have some food, share a story, and be on their way. This sight and experience brought up a feeling of great joy and sorrow within me. I grew up six miles from that exact house and we never left our front door open – not for anybody. It was not because we didn’t love our neighbors – it just was not what you did in my middle class suburban neighborhood. It was then that I brought these ideas and sentiments to my wife (then girlfriend), Rasha J. Clark, who also happens to be my writing and producing partner. We took the raw materials of my experiences with James and set off on an intellectual journey into the depths of understanding “American Community.” That work really opened our eyes to growing the sense of isolation that many Americans are feeling, and the subsequent lack of true communal belonging. One of the books we read, Tribe by Sebastian Junger, very poignantly and eloquently described some of these sentiments regarding our modern, American culture. Wow. Rasha and I were blown away by that statement. We knew then in mid 2016 that this would be the thematic material of our first feature film, Creek Don’t Rise. Over the course of the next two and a half years, we developed the story and script, and continued to develop our relationship with James. It became clear, Creek Don’t Rise is a fictional film that takes place in Lancaster, Pennsylvania, and is based on and features real life individuals (James being one main character) portraying versions of themselves. A hybrid-blend of fictional narrative & documentary filmmaking. Not unlike what filmmaker Chloe Zhao did in her breakout 2017 film, The Rider, in which she cast real life Lakota Sioux Native Americans in a fictional story that was based on their lives within their Pine Ridge Reservation in the South Dakota Badlands. The result of the film is overwhelmingly breathtaking. See for yourselves below. So what is our Lancaster-based film, Creek Don’t Rise, about? James during a test shoot for the film in 2018. A former Sudanese refugee living in Lancaster, Pennsylvania, befriends a local woman with manic disorder. One entrenched in community, the other deeply isolated, they each cope with being restricted from seeing their nearby children. The story is loosely based on actual elements of James’ life in Lancaster Country. So where are we are in the process of making the film? Glad you asked! Our current goal is to begin production of the film in early fall 2019. However, we have to fund the film first. We are a little over a month away from launching a comprehensive crowdfunding campaign for the project, where we will be seeking donations from the public - like you! In return for your gracious donations, you’ll get all kinds of cool stuff such as: Associate/Executive Producer credits, potential roles in the film, behind the scenes look at the making of the film, and a whole lot of other cool stuff! How can you stay updated on our progress and about or crowdfunding campaign? If you are interested in staying up to date about Creek Don’t Rise, please like our Facebook page below and follow us on Instagram @autopilotofffilms. We believe in the community of Lancaster and our film so much that we recently re-located from New York City to the Lancaster area with our young family. We so appreciate you for welcoming us with open arms. We are beyond proud to call Lancaster County home! Why I ditched New York City to make movies in Lancaster, Pennsylvania.